Since its foundation in 2004, almost 2000 clients and partners honoured the Kocsis and Szabo Law Office with their trust. Our clients are private persons and companies, in the range from small venture companies to large multinational companies, with activities in a very wide range from the commercial sector, industrial sector, building industry to the shipping, consulting sector. Our practice areas cover a wide area of law. We have several multinational companies amongst our clients, thus our service requires completing tasks using the English language. We are representing several companies on the grounds of our flat fee legal service, and several companies give us assignments regularly in particular cases when legal counsel or legal representing is needed for them. We are representing our clients in labour lawsuits, economic lawsuits, and civil suits regularly. Our law office has represented our clients at the court in more than 300 cases so far, which includes labour lawsuits, claim enforcement at court, sue for damages, lawsuits related to real estate, warranty lawsuits, lawsuits related to heritage, lawsuits related to supply and service contracts, etc. We represented our clients in more than 50 liquidation processes, on creditor’s or debtor’s side, so we have a stable experience in this area. Since our existence, we have contributed to the establishment or amendment of articles of association for more than 500 companies. We have represented companies in processes of raising or lowering nominal capital, transformation and winding up companies. We often prepare contracts, drafts of agreements concerning various areas for our clients, and represent the interests of our clients in the course of business negotiations and forming business relationships. We often give counsel to our clients related to labour and employment law matters and represent our clients in labour law processes at the court, or in processes out of the court. Besides companies, private persons are also can be found amongst our clients, so we have a wide range of experience of legal matters and civil suits concerning private persons. 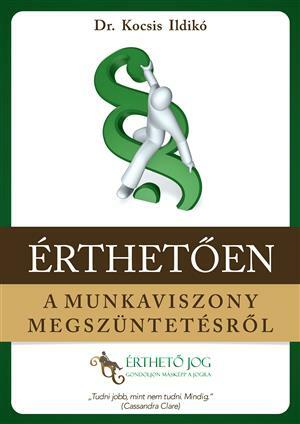 Cooperating in and conducting legal audit of the review of Metro4 (the new subway line in Hungary) project, in the course of which: assessing the risks related to the Metro4 project, giving legal opinion on the project contracts, giving legal opinion of FIDIC contracts, identifying and evaluating project risks, organization of found risks, concluding expert reports, legal counseling. Legal audit of transport projects listed in Government Decision No. 1067/2005. (VI. 30.) on granting state support to the preparation of main projects scheduled for 2007 aiming at EU assistance. We contributed to the realization of a telecommunication project covering 150 settlements, with making the advisory opinion about the complete contractual system, and legal advice during the realization of the project. Among our references can be found the complete legal representation of a company, which is specialized in preparing applications for EU financial funds. Our legal representation includes preparing legal opinions on questions related to EU tenders and subsidies, preparing proposals for legal solutions, legal counselling in EU community law. A hotel project was successfully realized in Budapest with the legal support of our law office. We have experience in preparing the legal foundation for the complete registration of exclusive state ownership, settling the legal situation of state-owned real estate, exploring the institutional background of permanent land use rights in the area of the legal settling of permanent land use rights after 1989.